Herriman Teeth Whitening - Teeth Whitening is the procedure of making teeth whiter and more attractive. Our Herriman teeth whitening office uses several methods; Opalescence Go, tray whitening using Opalescence tooth whitening, and in-office professional whitening methods. Opalescence Go whitening trays are prefilled, disposable trays that contain a powerful whitening gel. Simply insert the comfortable trays in your mouth and wear for the recommended time, and your teeth will be whiter and brighter! The Opalescence Go whitening system is so powerful and effective that it is only dispensed by dentists. This whitening treatment has been proven successful at providing dramatic, long-lasting results. The tray whitening method involves having impressions taken from which laboratory fabricated custom vinyl trays are made. A syringe, containing Opalescence 35% carbamide peroxide gel, fills the trays and the trays are worn for 30 minutes a day for roughly three to four weeks. Our Herriman in-office, professional whitening methods include Opalescence Boost, Zoom QuickPro, and Zoom WhiteSpeed LED Lamp. Opalescence Boost uses 40% hydrogen peroxide gel and is a two, 20-minute treatment per visit. Zoom QuickPro whitening varnish uses an innovative, two-layer technology that delivers a brighter smile. It takes just minutes to apply, then the patient brushes it off at home after wearing it for the recommended time. Zoom WhiteSpeed LED Lamp is the number one in-office whitening treatment in the United States. Zoom WhiteSpeed is clinically proven to whiten teeth up to eight shades in just 45 minutes. The procedure begins with a short preparation to isolate your lips and gums, then the clinician applies the whitening gel that is activated by a specially designed light. 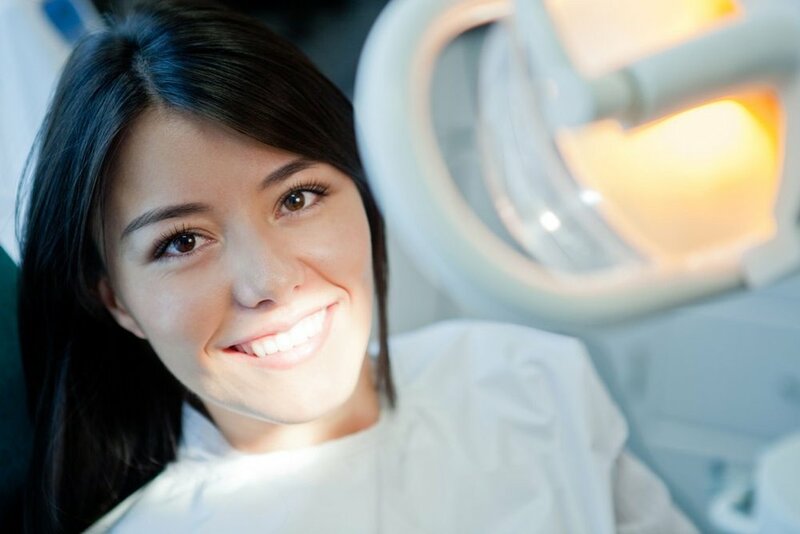 A fluoride treatment completes the procedure and you’ll be amazed with the results! Many factors cause tooth discoloration. Genetics is one factor; some people just have whiter teeth than others. Other factors include cigarettes, dark foods and beverages (such as coffee, tea, and red wine), age, medications, and tooth trauma. Some people experience sensitivity while whitening, but sensitivity does not mean that damage has been caused to your teeth. It is temporary and typically disappears within a few days. In severe cases, your dentist can provide you with additional desensitizing treatments. Whitening will not weaken your teeth and many whitening gels include potassium nitrate and fluoride. Potassium nitrate has been shown to help reduce sensitivity. Fluoride has been shown to help strengthen enamel. Together they help to improve the overall health of your teeth. Don’t wait any longer to get the smile you’ve always wanted, ask your dentist about which whitening treatment is right for you!